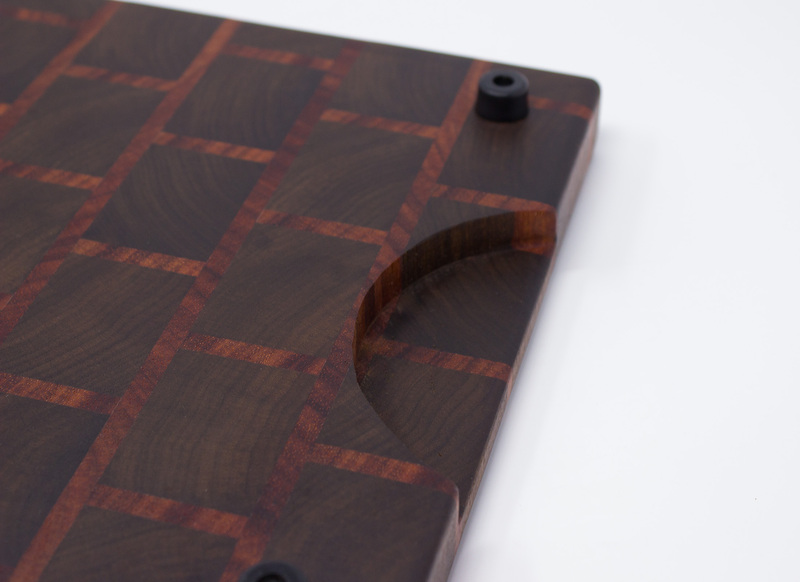 This unique cutting board is the perfect accessory for any kitchen. Instead of a regular straight grain or edge grain board, this board is made with the end grain up. Professional chefs prefer end grain cutting boards, as they are the highest quality wood cutting boards available. 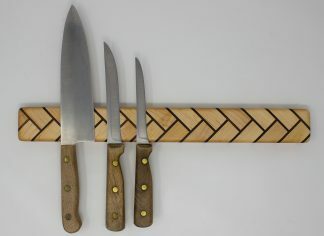 Gentler on your knives, they remain in fantastic condition and are treasured heirlooms from one generation’s family cook to the next. This board is made in an eye-catching brick and mortar pattern from American black walnut with bubinga “mortar”. 4 rubber feet can be included on the backside if you intend to only use the inlayed front side. 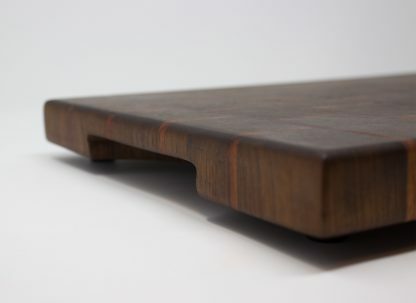 The feet help hold the board in place during use and also allow for better airflow to help avoid any warping. 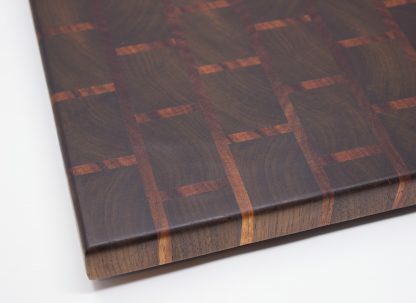 Please write any information below you would like engraved on your cutting board and we will work with you on the design. If you would like a special image feel free to designate that in the field below and then e-mail the image to us. We can also do any teams, logos or designs that are available online. 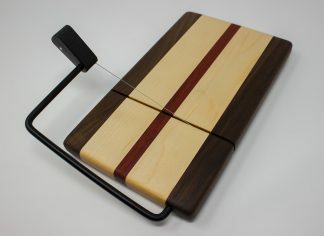 This unique cutting board is the perfect accessory for any kitchen. 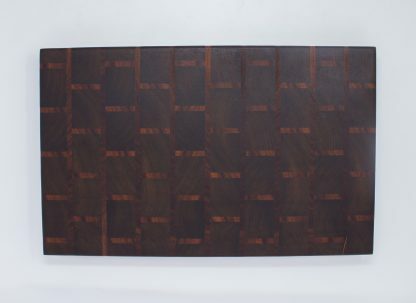 Instead of a regular straight grain or edge grain board, this board is made with the end grain up. 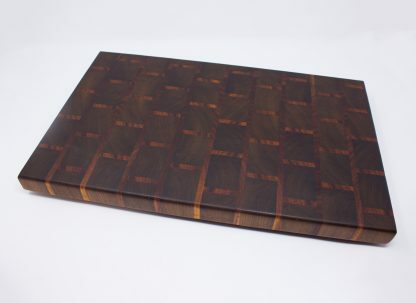 Professional chefs prefer end grain cutting boards, as they are the highest quality wood cutting boards available. Gentler on your knives, they remain in fantastic condition and are treasured heirlooms from one generation’s family cook to the next. This board is made in an eye-catching brick pattern from American black walnut with bubinga “mortar”. Finished with several coats of mineral oil and rewaxed with a beeswax/mineral oil mixture at time of shipment. All of our cutting boards are made by hand and exemplify our true love of woodworking. 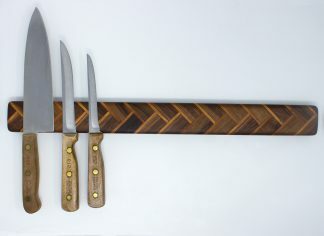 We select the best quality woods either as repurposed hardwood scrap or from locally sourced supplies. 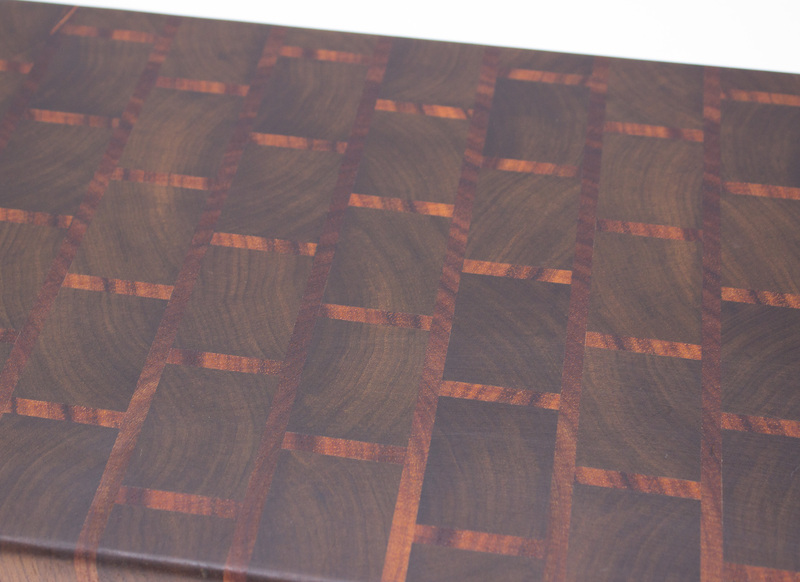 We then laminate different woods together in a design that is sure to appeal to everyone. They are then sanded to a silky smooth finish before being sealed and readied for use. 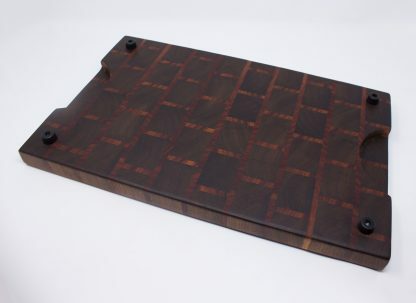 This cutting board measures 18″ x 11″ x 1 1/4″ and weighs about 2 pounds. Can be customized to any size! Instruction on how to care for your product will be included. NOTE: Exact color and grain will vary slightly from board to board but will be a close match to the picture and description.